On A Clear Day was based on the Broadway show that ran October 1965—June 1966 starring Barbara Harris and John Cullum, which was originally titled I Picked A Daisy. Paramount Pictures reportedly paid $750,000 for the film rights to the Alan Jay Lerner-Burton Lane musical in 1966. Paramount announced in April 1967 that Vincente Minnelli would direct Clear Day. Producer Howard W. Koch made some changes transferring On A Clear Day from the Broadway play to a film. Alan Jay Lerner revised his original story. Several songs from the Broadway show were not used in the film version. Several new ones were added (and then cut! ... keep reading to find out all about them). Arnold Scaasi was brought on board to create modern costumes for the film; Cecil Beaton would fashion Streisand's regression wardrobe. By December 1969 (when this item appeared in newspapers), Hefti had been replaced by Nelson Riddle. Harris was attached to the project late-1967 into 1968. It was announced August 1968 that Yves Montand, 47 years old, who starred with Marilyn Monroe in Let’s Make Love, would appear opposite Streisand in the film. It was reported in early January 1969 that Streisand and Montand recorded their numbers for the movie at Paramount Studios in Hollywood in one day, in afternoon and evening sessions. 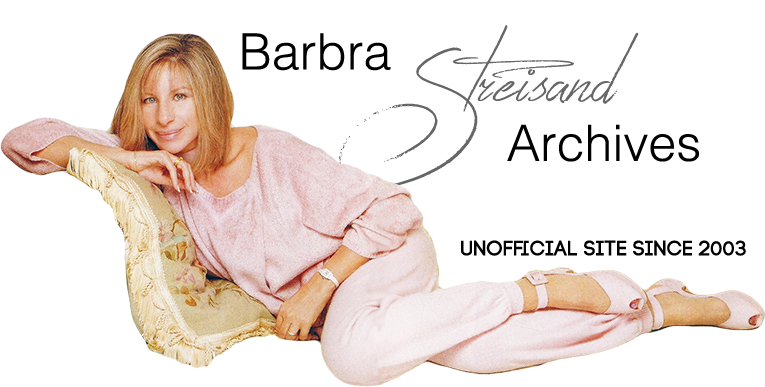 In this audio interview, below, Streisand is questioned at the recording session for “Wait Till We're 65”—the orchestra keeps interupting the interviewer. Streisand mentions a line from a scene in the movie, which was eventually cut. She's referring to this one. In 1969, right before filming began on January 6th, Paramount threw a “Reincarnation Ball” party at the Beverly Hilton Hotel. Celebrity guests were encouraged to dress as the person they would have liked to have been—in a past life! Streisand came as Colette, the French writer, dressed in a white lace dress and curly wig.